Chance The Rapper can now be seen on a screen near you. Slice, a new horror movie that features the Chicago native, came out Monday (September 10). Directed by Austin Vesely (who also helmed Chance’s videos for “Sunday Candy” and “Angels”), the movie was initially announced nearly two years ago and is now finally available to watch on iTunes and other platforms. 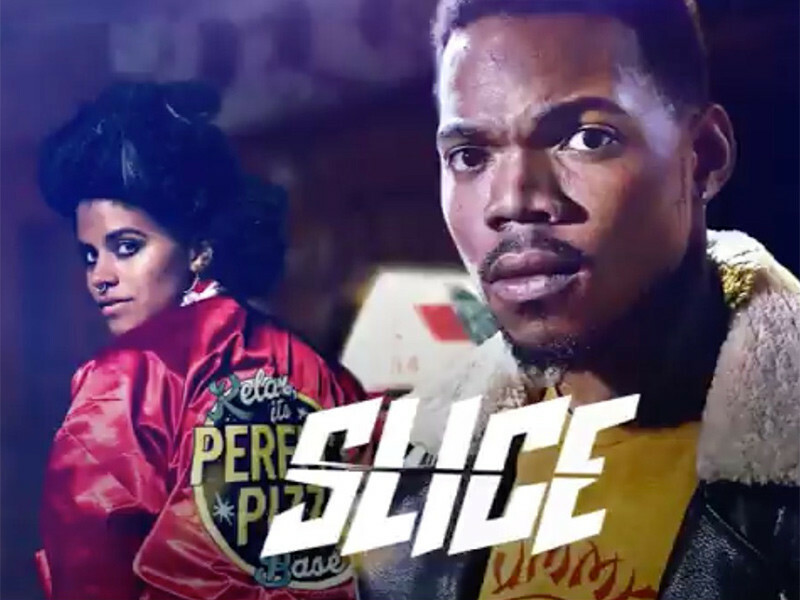 Slice features Chance The Rapper, Atlanta‘s Zazie Beetz, Paul Scheer, Rae Gray, Hannibal Buress, and Joe Keery (aka Steve from Stranger Things). The movie revolves around investigating a string of pizza delivery boy murders. Chance plays a werewolf named Dax Lycander who teams up with Beetz’s character to try and solve the murders. The cast did a live Q&A on Monday (September 10) in Chicago, talking about the film and answering some questions from fans. Watch the trailer for Slice below and rent or buy the film here.